Why can’t it be just about the skating? If it were only about the skating, Tonya Harding (Margot Robbie) would probably end up as the best figure skater to ever do it. At the age of four she embarked on this career path, driven by her overbearing mother, LaVona Golden (Allison Janney). The talent is evident from the first time she shows her skills in an older age group. Eventually, she becomes the first woman to land a triple axel. If it were only about the skating, Tonya’s story would be a happy one. But exposed to the constant abuse from LaVona and her first love Jeff (Sebastian Stan), the volatility of her situation places her down a tragic path of darkness, culminating with “the incident” against competitor Nancy Kerrigan that would come to define her life. Sure, the world may have gotten the great ESPN 30 for 30 in The Price of Gold, but it is kind of surprising that it took almost a quarter-century for the infamous Tonya Harding incident to be captured onto the silver screen. 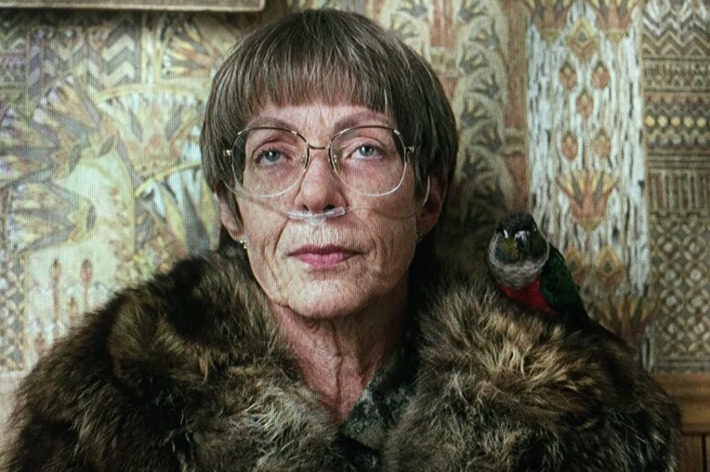 Jordan years (that’s 23 for the non-sports fans out there) later, I, Tonya officially arrives in the awards season and winds up standing as very, very surprising film. Sometimes tone and approach can be the most important factors as it pertains to how well a movie’s story is told and whether it resonates or not. Massive kudos must be given to director Craig Gillespie (The Finest Hours, Fright Night 2011), writer/producer Steven Rogers, producers Margot Robbie, Tom Ackerley, Bryan Unkeless, and even Tonya Harding herself who serves as a consultant for the movie for nailing these two components. There’s an alternate universe where I, Tonya is super dry and told with a straight face. That recipe is likely a forgettable view. Why? Because the preposterous life story of Tonya Harding—from 4 years old on to her celebrity boxing stint—is too unbelievable not to chuckle or even laugh hard at; it might as well be a fiction except it actually happened. The Office-like format in storytelling takes a little while to find a groove, and the fourth-wall breaking isn’t always smoothly deployed, but necessary to seeing how the main characters’ recollection of the events are not the same. However, using this method allows a more emotionally-affecting look into Ms. Harding herself. Seriously, I Tonya goes there to those dark, icy, and uncomfortable places. Gillespie and company do the right thing in straying away from painting Tonya as a complete victim, but rather, examining how one, even with immense talent, is rather hopeless to beat a self-fulfilling prophecy without a stable environment. Some biographies—especially around awards season—are rather tepid, absent of any spirit or excitement. Not, I, Tonya. The characters, from major to minor, pop off the screen. A mid-80’s to early 90’s soundtrack envelopes the screen with electricity. Gillespie’s skating scenes are some of the more breathtaking sequences of the entire year, filmed with grace and elegance.This is never a dull watch. The energy is obviously carried into the performances as well. As mentioned, even the bit players in Julianne Nicholson, McKenna Grace, Bobby Cannavale, and Paul Walter Hauser (a real scene-stealer midway through as Tonya’s bodyguard) make their imprint on the feature. But this film is anchored by its superstar trifecta in Margot Robbie, Sebastian Stan, and Allison Janney. Robbie is firmly a superstar who raises anything she’s in at this point, and her work as the troubled figure skater is her career-best, deftly switching between sadness, anger, and dark humor and remaining a character and not a caricature despite some embellishment. A moment midway through where Robbie asks a judge about what exactly they have against her and why it is not solely about skating is gut-wrenching. 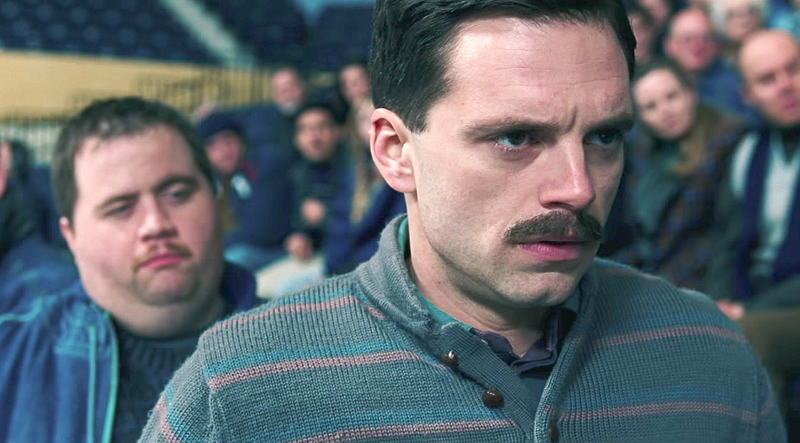 Stan, who ironically was in a vastly lesser movie with clear parallels to Tonya Harding in The Bronze, continues to cement himself as more than the Winter Soldier, and here’s to hoping his Marvel future doesn’t prevent him from doing more work like this. Janney is unrecognizable in her turn portraying Harding’s mother, ruthless, brow-beating, and foul-mouthed and the center of her daughter’s troubles and issues. Undoubtedly one of the definitive standout performances the 2017 calendar year. What is truth? Jumbled, because everyone has their own version of it, according to the movie. 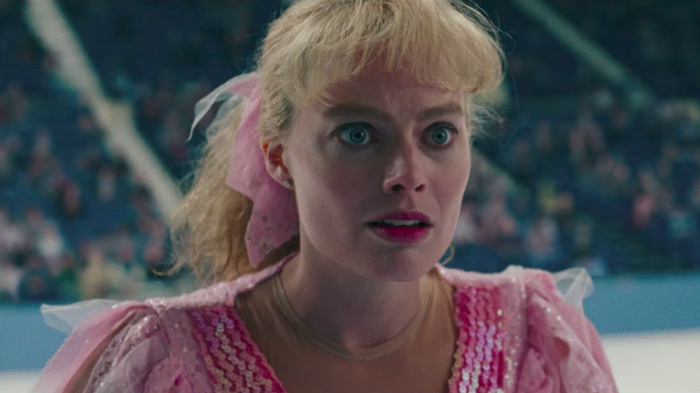 But the truth is that with damn near flawless execution, a ton of energy, and top-notch performances, I, Tonya stands out as one of the more memorable biopics in recent memory. This was a massive surprise when I saw it at TIFF. Janney was amazing, especially with that line halfway through that made everyone laugh in the theatre I was in. Yeah I firmly believe it is one of the best of the year. Knew the core of the story but so glad I didn’t see trailers. There weren’t any trailers going into this. Went in on cast alone and was delighted. I was at the premiere so I saw them too which was great. A weird mix of campy humor and seriousness. Definitely more sympathetic to Harding than any news report I remember from the time. Doesn’t always work, but it is entertaining. The mix worked for me, because I couldn’t see this story being told completely straight-faced. We’ll see how this shakes down once the wide release comes but it’s looking pretty good now. I loved it.